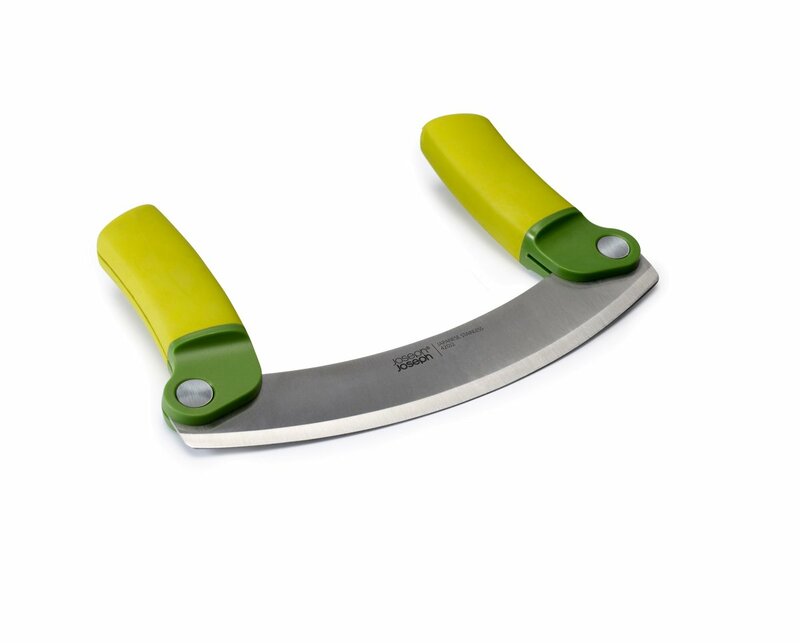 A folding herb chopper with integrated blade guard. This traditional utensil, used for chopping herbs and garlic, has pivoting handles and a sharp stainless-steel blade that slices through fresh with ease. For added safety, when finished handles can be folded back over the blade making it perfect for storing in a drawer.